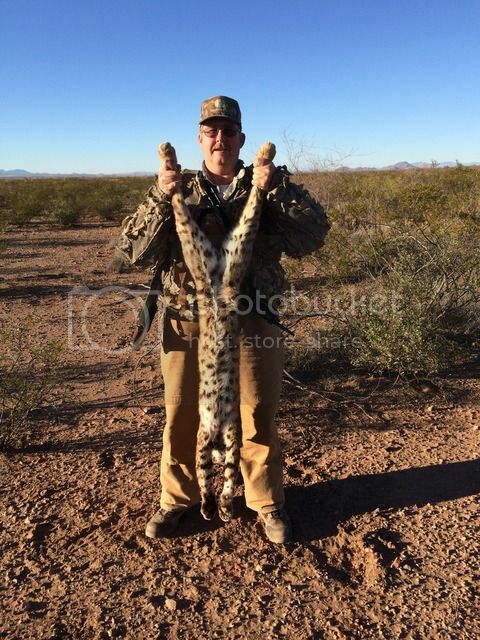 In the area I hunt/hangout a bobcat is unheard of. Just a little ways south they bump into them once in awhile but the folks I know that hunt and trap the locale have never bumped into one, until this past fall! I thought that was as cool s it could get, man was I pumped at seeing that. Well, this past Monday a friend in the area who is a top notch trapper got one in a fox/coyote set. He was pretty excited and had a friend of his come in and help with the release as these aren't fair game in the unit. 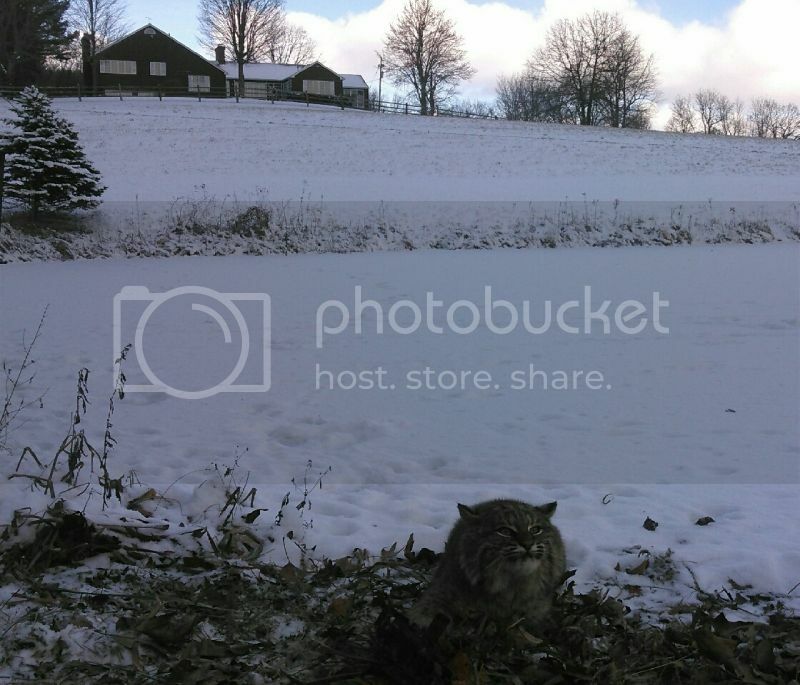 Pics were taken with a cell phone and the kitty was sprung loose. The funny thing is the 'cat jumped up on a pallet and watched for 5 minutes while the trap was prepared for the next critter. Afterwords the guys left and the bobcat ran off. I love calling them in. Got this one last November. Shot it with a slow twist 6x45 called a 6mm Cheapshot. very cool. Just how does one go about letting one go, without getting ripped to shreds? 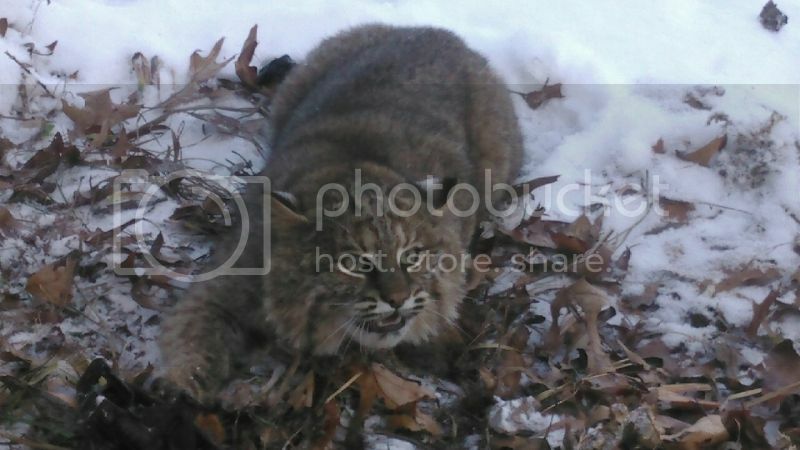 The guy that trapped this 'cat told me that they (he had a buddy come and snap pics and assist in the release) got a 4x4 piece of plywood with a small "V" notch cut on one side. They then walked that "V" over the top of the outstretched chain, pushing the kitty to the end. Now, the chain is at its end and the animal is on the "right" side of the board, out of harms reach. They then moved the "V" just past far enough over the trap so they could push down on the traps spring and let the bobcat out. I'm not sure why they didn't just use a snare pole and haven't asked him. 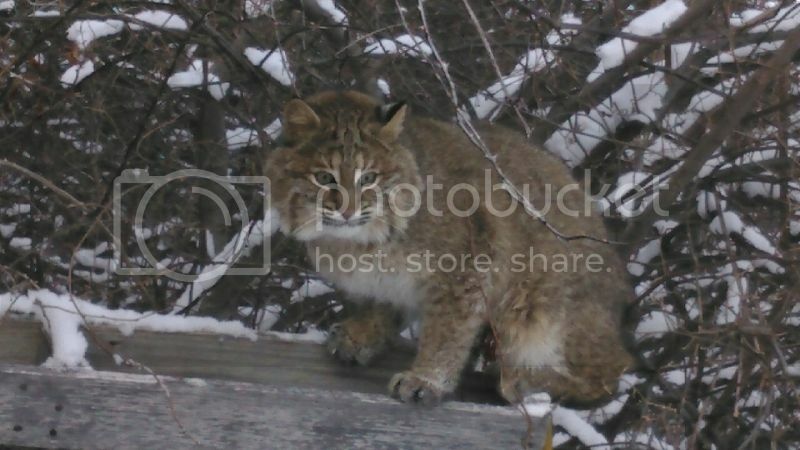 I think he wanted to ensure no harm came to the bobcat that is protected in this area.